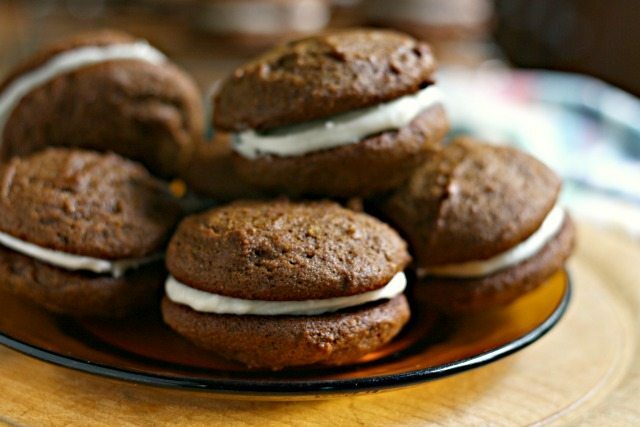 Pumpkin Whoopie Pies are made wiith lightly spiced soft pumpkin molasses cookies sandwiched with cream cheese frosting. I have a soft spot for whoopie pies and it appears that I’m not the only one. 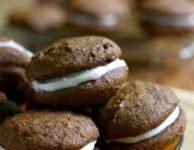 Whoopie pie recipes are among the most popular on this website and when we share the recipes online the interwebs go crazy. 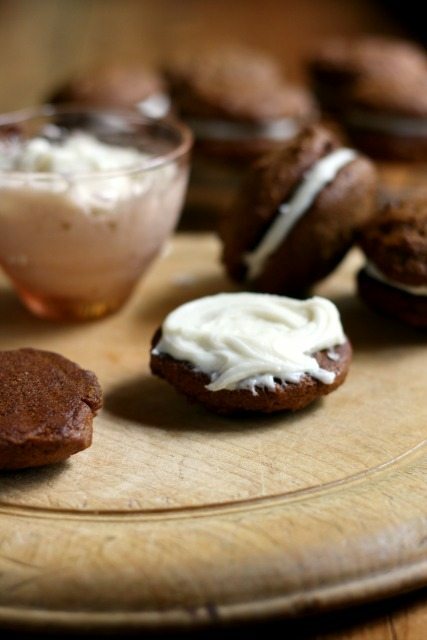 The whoopie pies that I grew up with were chocolate and had a very delicate crumb. 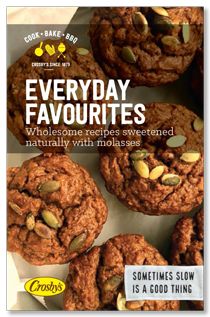 I still love them but prefer a cookie with a bit more texture and that’s why these pumpkin whoopie pies are a new favourite. 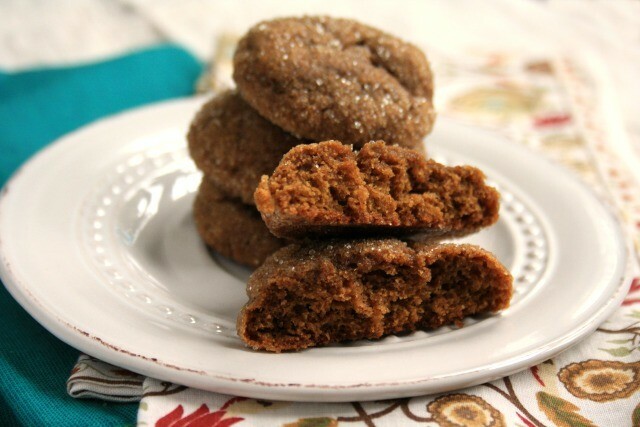 The pumpkin molasses cookies have a great texture — not too soft, and the filling is extra tasty. The spicing is lovely and the pumpkin flavour is just right. Once assembled, pumpkin whoopie pies should be eaten within a couple of days. 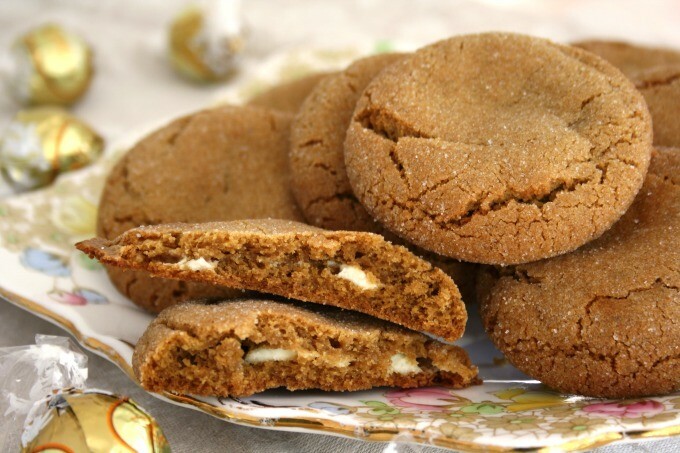 The pumpkin molasses cookies alone will last a week in a tin.  The recipe was slightly adapted from the always excellent website The Cafe Sucre Farine. In a large bowl beat the butter with the sugar until creamy. Beat in the molasses, then the egg. Add pumpkin and vanilla. Mix until well combined. Add dry ingredients to wet ingredients and mix until combined. Refrigerate the cookie dough for at least 1 hour or overnight. 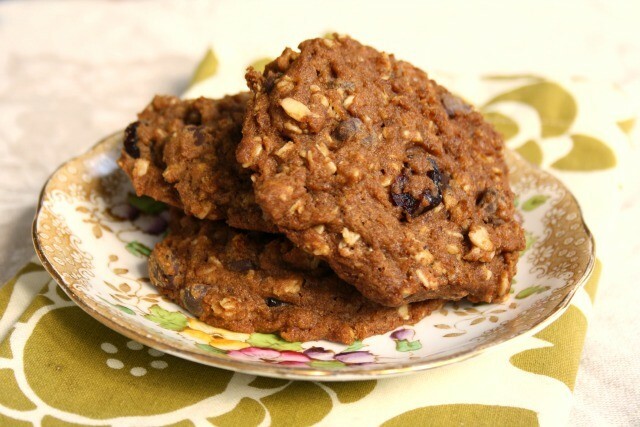 Drop dough by the heaping tablespoonful onto parchment-lined baking sheets (I use a medium cookie scoop). Leave a couple of inches between cookies. Spread 1-2 Tbsp. 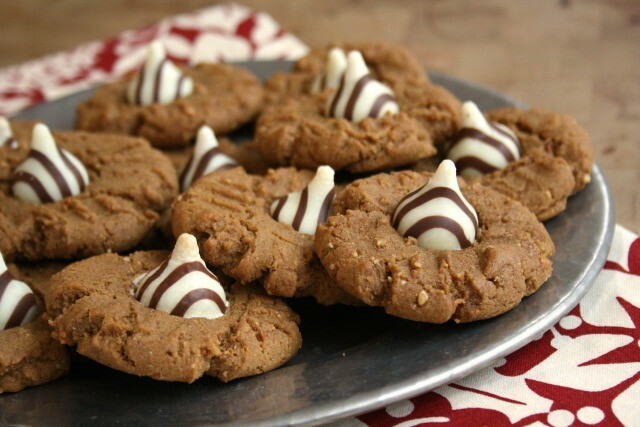 of frosting on the flat side of a cookie and top with another cookie.